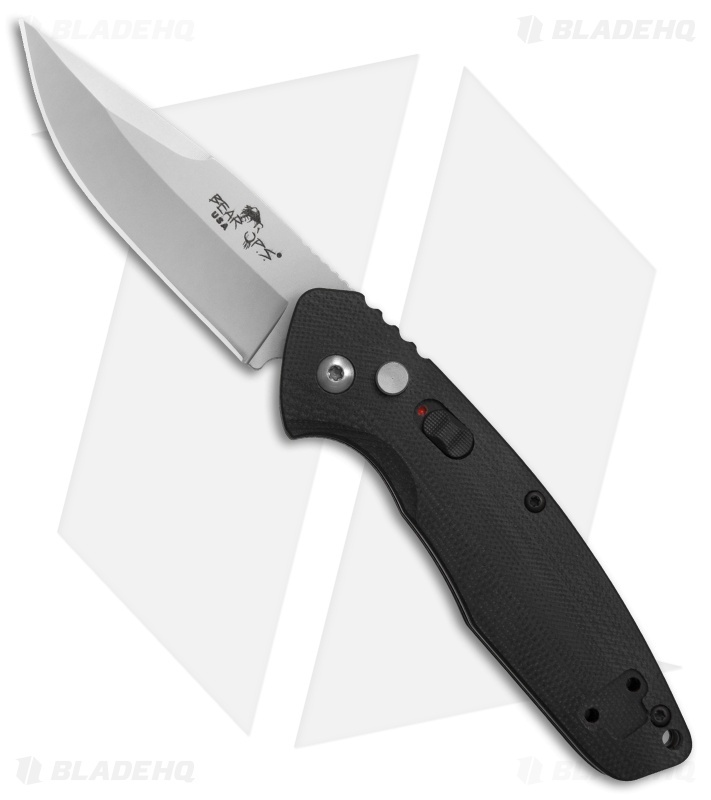 This Bold Action X model is built with a lightweight black G-10 handle and a bead blasted spear point blade. Bear Ops is setting a new standard for low price point automatics with the Bold Action series of knives. 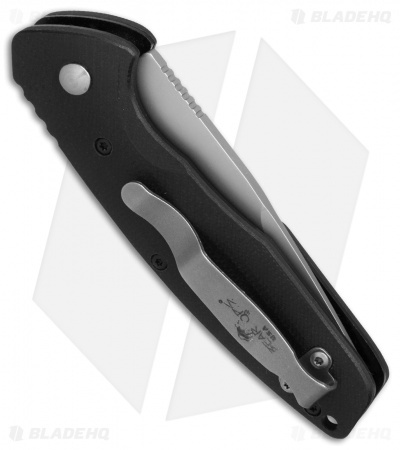 The Bold Action X offers impressive opening action with a front-mounted push button. A sliding safety lock keeps it securely stored when carried in the pocket. Open stand off construction provides a lightweight build and easy maintenance. 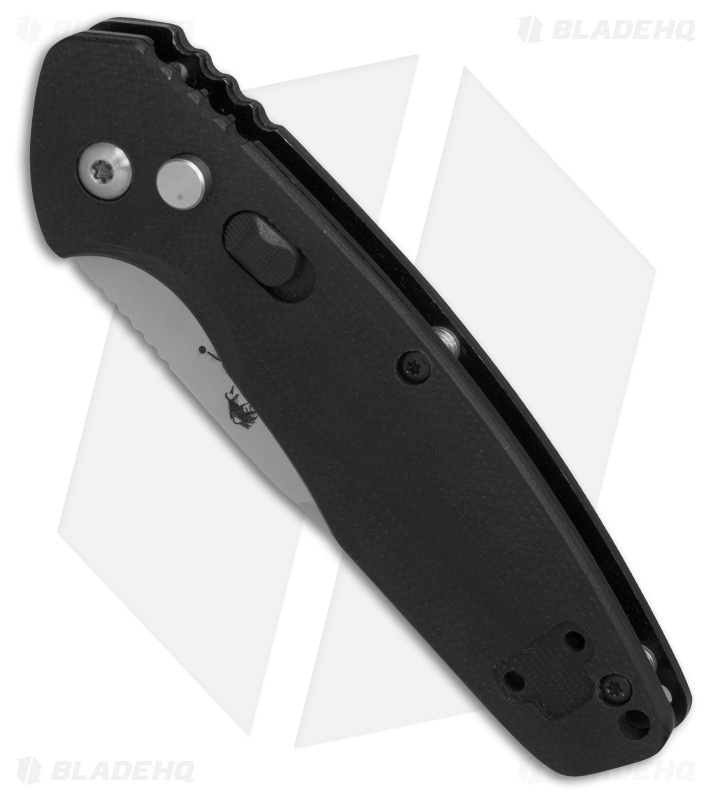 Add a snappy affordable auto to your rotation with the Bold Action X.
Sandvik 14C28N blade steel offers a sharp edge with excellent corrosion resistance. 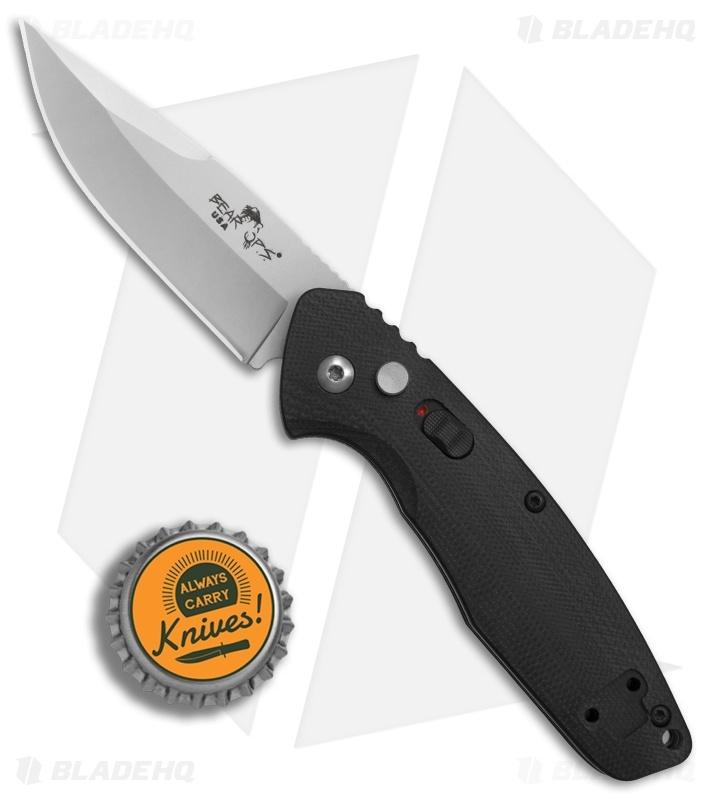 A G-10 handle provides a durable, lightweight build and an ergonomic grip. The deep carry stainless steel pocket clip is reversible for ambidextrous carry.